I began having problems with Warner Bros. 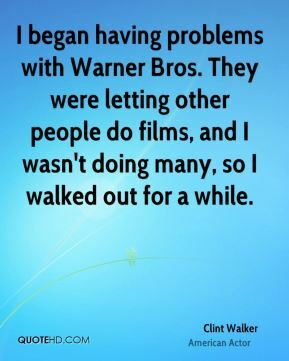 They were letting other people do films, and I wasn't doing many, so I walked out for a while. 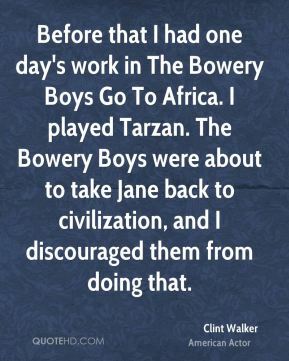 Before that I had one day's work in The Bowery Boys Go To Africa. I played Tarzan. The Bowery Boys were about to take Jane back to civilization, and I discouraged them from doing that. 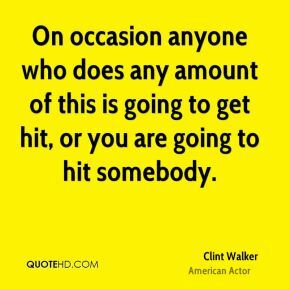 On occasion anyone who does any amount of this is going to get hit, or you are going to hit somebody. 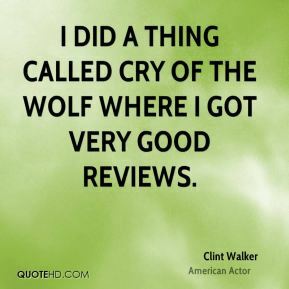 I did a thing called Cry of the Wolf where I got very good reviews. 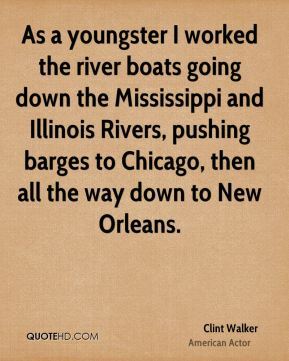 As a youngster I worked the river boats going down the Mississippi and Illinois Rivers, pushing barges to Chicago, then all the way down to New Orleans. 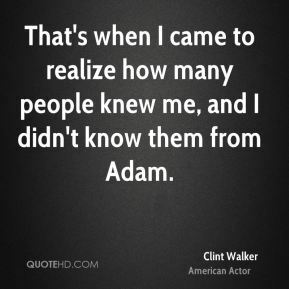 That's when I came to realize how many people knew me, and I didn't know them from Adam. 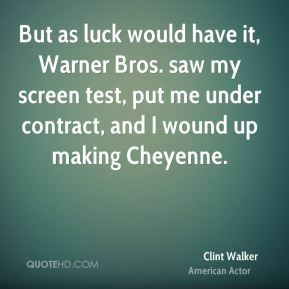 But as luck would have it, Warner Bros. saw my screen test, put me under contract, and I wound up making Cheyenne. 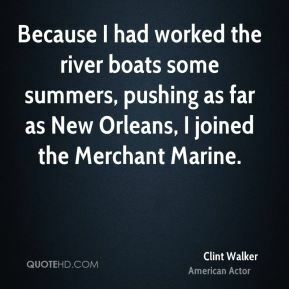 Because I had worked the river boats some summers, pushing as far as New Orleans, I joined the Merchant Marine. 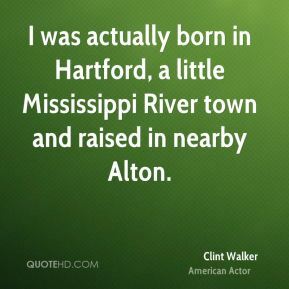 I was actually born in Hartford, a little Mississippi River town and raised in nearby Alton. 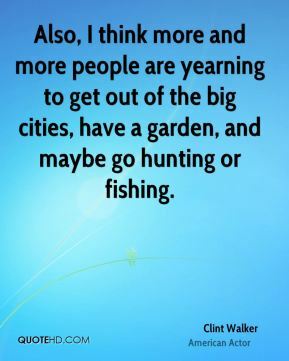 Also, I think more and more people are yearning to get out of the big cities, have a garden, and maybe go hunting or fishing. Funny thing, but when I first got to England, I felt very much at home there. 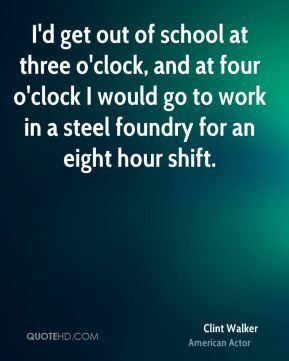 I'd get out of school at three o'clock, and at four o'clock I would go to work in a steel foundry for an eight hour shift. 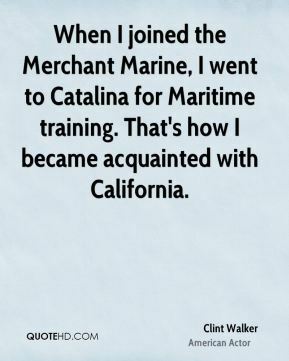 When I joined the Merchant Marine, I went to Catalina for Maritime training. That's how I became acquainted with California. 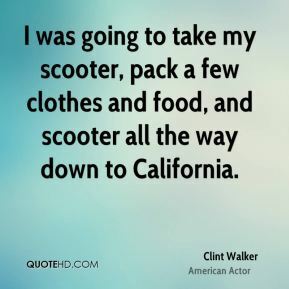 I was going to take my scooter, pack a few clothes and food, and scooter all the way down to California. 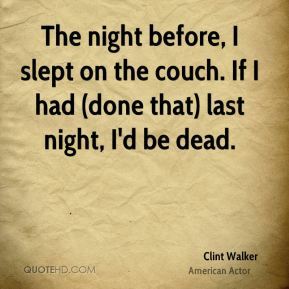 The night before, I slept on the couch. If I had (done that) last night, I'd be dead. 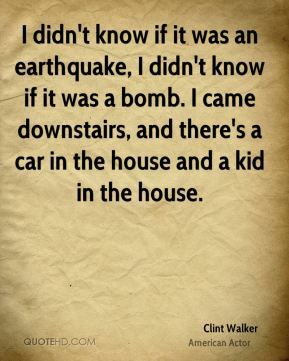 I didn't know if it was an earthquake, I didn't know if it was a bomb. I came downstairs, and there's a car in the house and a kid in the house. 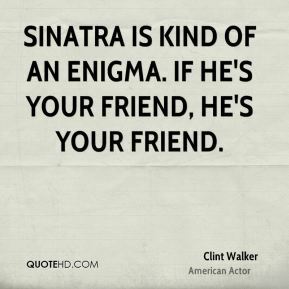 Sinatra is kind of an enigma. If he's your friend, he's your friend. So, I got into the law enforcement game. 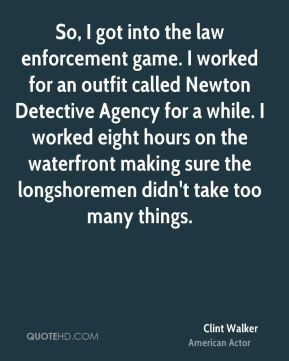 I worked for an outfit called Newton Detective Agency for a while. I worked eight hours on the waterfront making sure the longshoremen didn't take too many things.